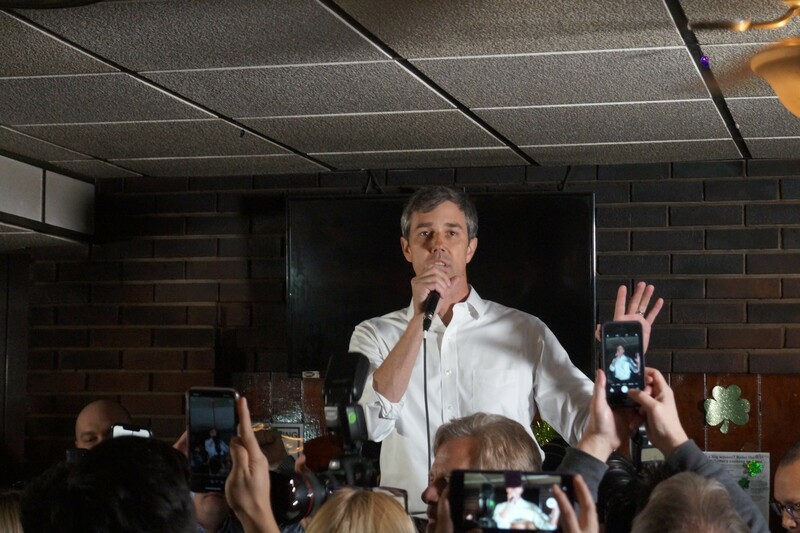 Beto O'Rourke at Gino's in Cleveland, (3/18/19). 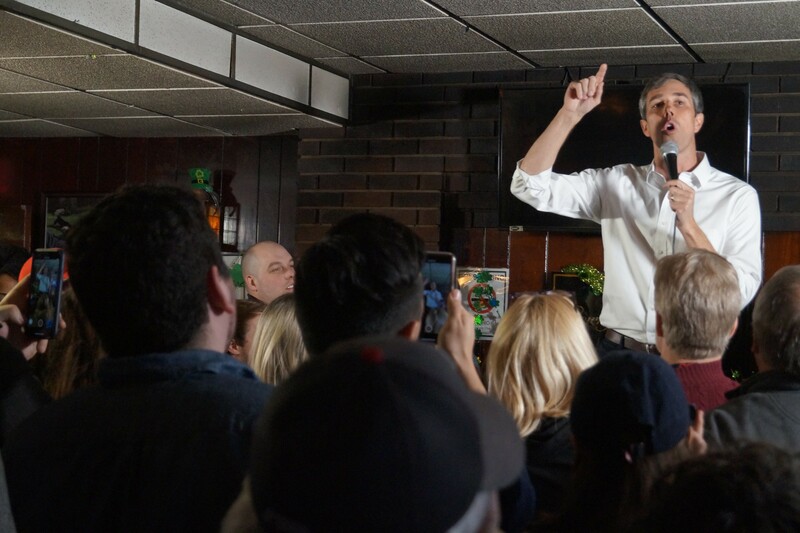 The joke at Gino's Cento Anno, a blue-collar dive on the south and windward side of Cleveland's industrial valley where Democratic presidential candidate Beto O'Rourke made a pit stop Monday, was that two hours before his scheduled arrival, the TVs were all playing Fox News. By 3:30 p.m., the planned start time for O'Rourke's remarks, they'd been switched to CNN. 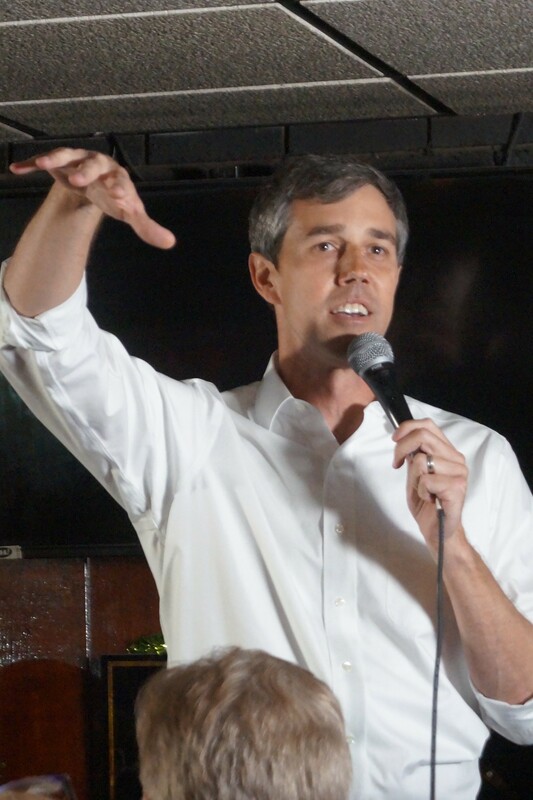 And by 4:00 p.m., right before the erstwhile punk rocker and Texas Senate candidate began to gesticulate before a jam-packed crowd, they'd been tuned to MSNBC. 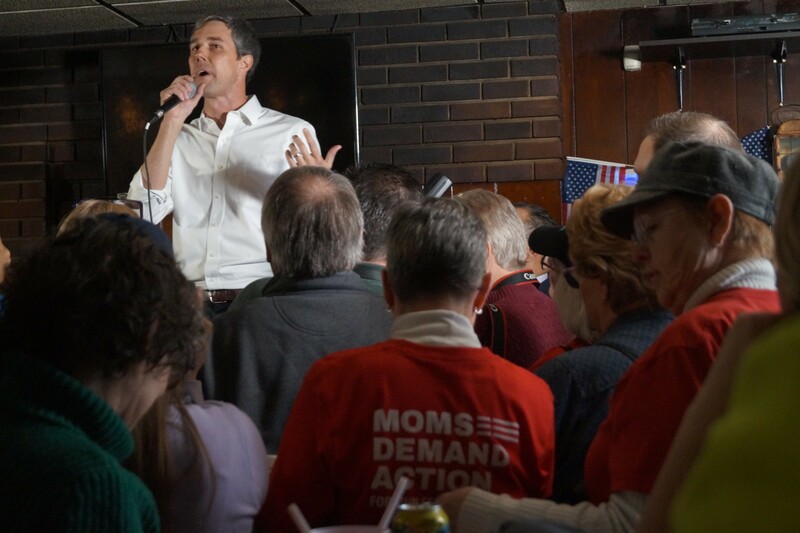 O'Rourke's from Texas, "a responsible, proud gun-owning state." And he said there's "nothing wrong with" gun ownership for hunting, collecting, etc. 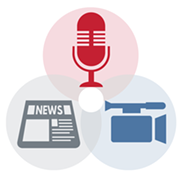 "In fact, there's so much right with the way we take that responsibility seriously." And yet, what a lame non-stance. It's no surprise that "use your assault weapons responsibly" didn't quite generate the same applause as, "I believe in a woman's right to choose." And why would it? He'd just spent an impassioned minute-and-a-half talking about what a senseless and irresponsible death-machine an AR-15 is. On health care, he doesn't want Medicare for All, necessarily. He just wants it to be a bit more affordable, maybe by putting the Medicare option on the public exchanges for people who don't have, or aren't happy with, their employer insurance. On college affordability, he doesn't want free public college, necessarily. 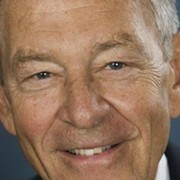 He wants to refinance student loans at lower rates. 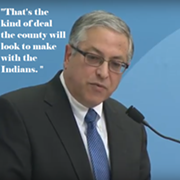 Even the Gino's regulars, even the blue-collar Cuyahoga County "Democrats" who prefer Fox News, sipped their domestics approvingly now and again. Shontel Brown warming up the crowd. 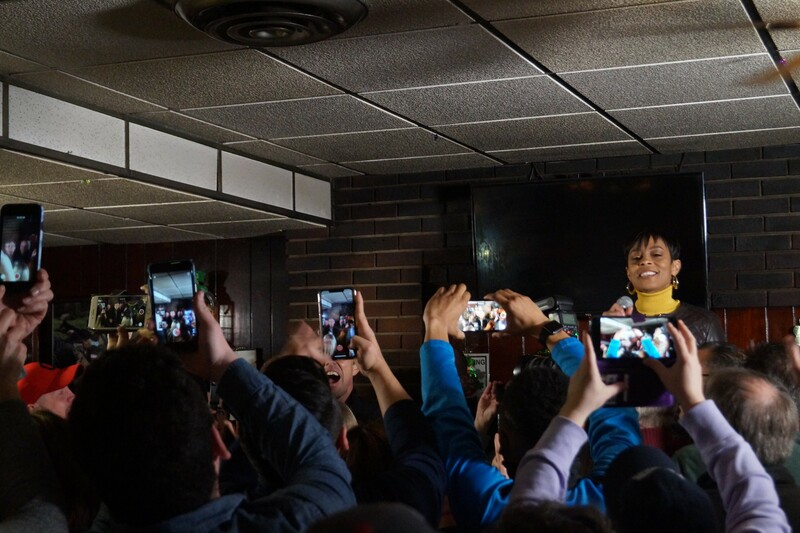 / Beto O'Rourke at Gino's in Cleveland, (3/18/19). "I don't want to take away your AR-15s! Use them responsibly!" 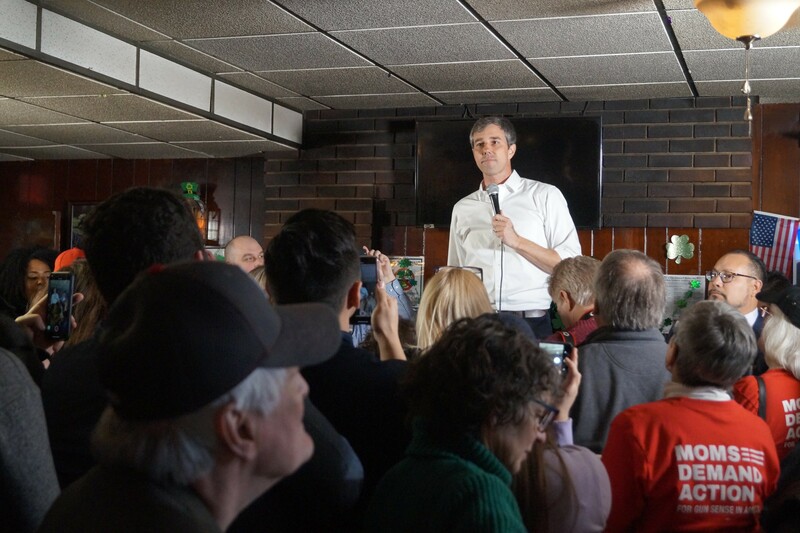 / Beto O'Rourke at Gino's in Cleveland, (3/18/19).